Watch what is happening on a weekly basis in your ministry. Pretend you are a visitor, and know nothing about your kids ministry. Is it very clear how to check-in your kids? Is there signage directing people which way to go? Notice the facial expressions and body language of the families as they check their kids in and out of your ministry. Also notice the same thing with your team. Do they look and act happy…or do they appear to be stressed out? Do you have a team member in place for every part of assimilation? Do your team members know what to do when they serve? How about the appearance of your ministry environment…does your ministry space need some maintenance? Are things broken that need to be repaired or removed? Do the walls need to be repainted? Don’t just ask yourself questions, but ask your team some questions, too. What is your favorite thing about this ministry? 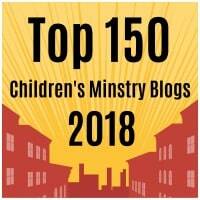 Can you think of any area in this ministry that needs attention? Have you noticed any procedure that we have that is not flowing smoothly? Is there any part of your ministry experience that you don’t enjoy? Can you think of anything that I or the church can do to make your experience better? After you have watched and then asked these questions, use the answers as a gauge to improve the areas in your ministry that need some updates. Before you know it, your team and the families your church serves will feel very special and appreciated because you chose to take the time to make something they really care about even better. And the greatest part of all… your ministry will be operating more efficiently, enabling your church to share God’s love with lots more people- now that’s beautiful!